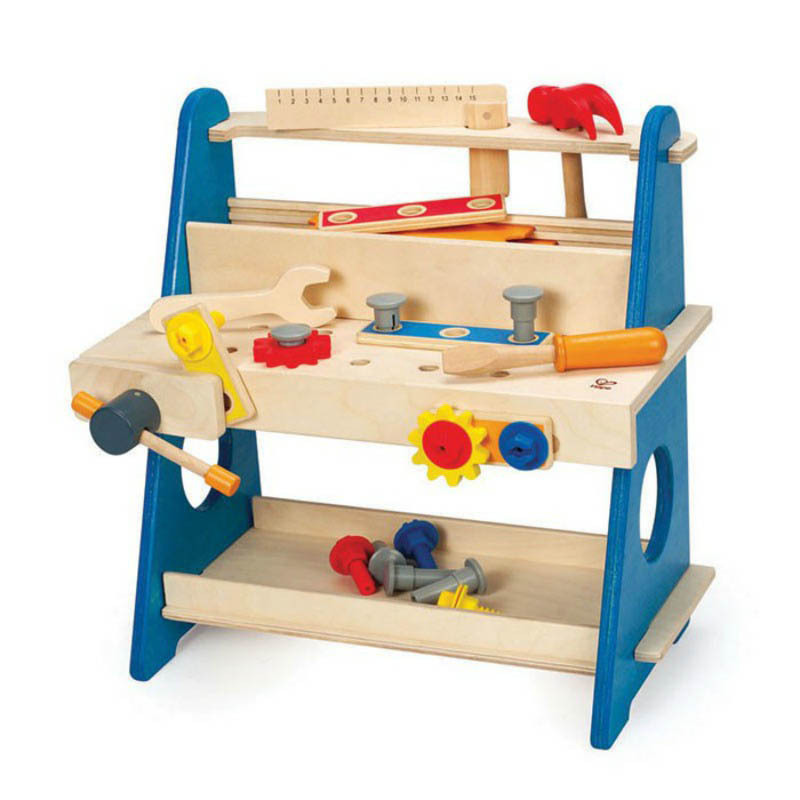 The ideal workshop to build and store carpentry projects and tools all in one place. 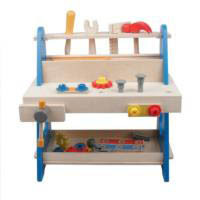 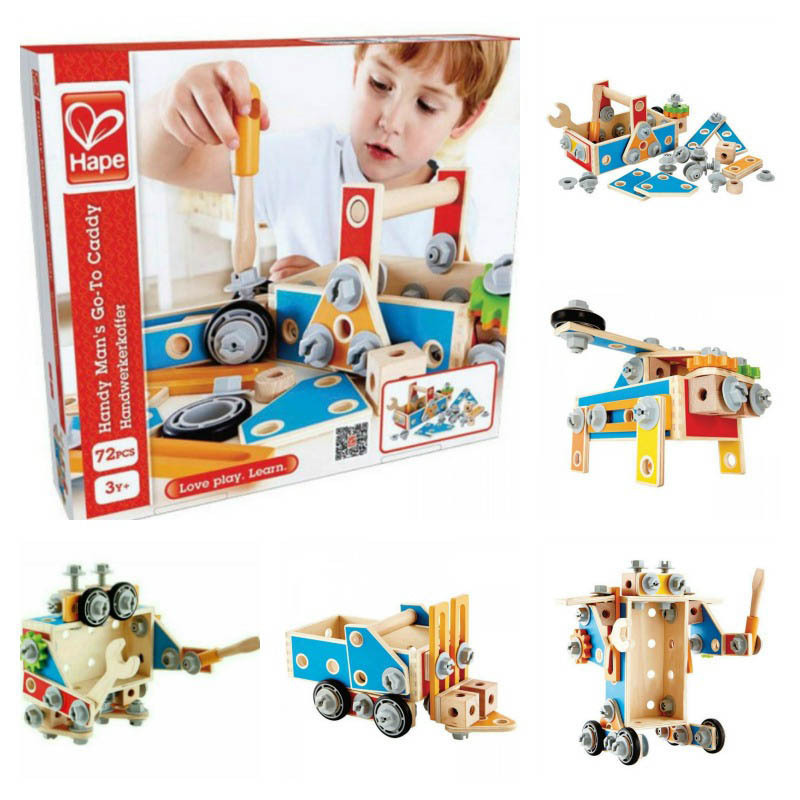 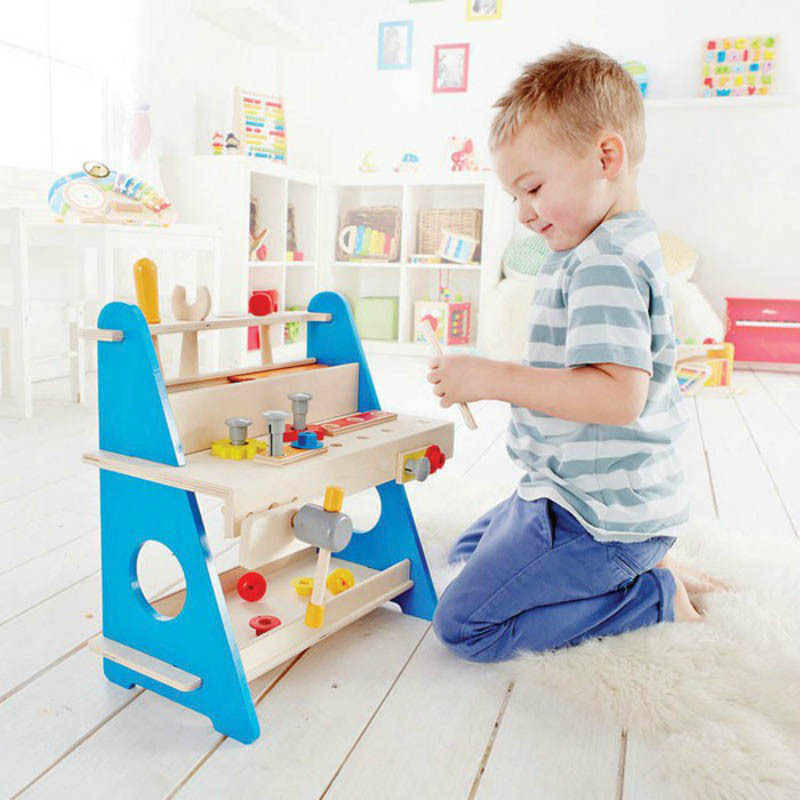 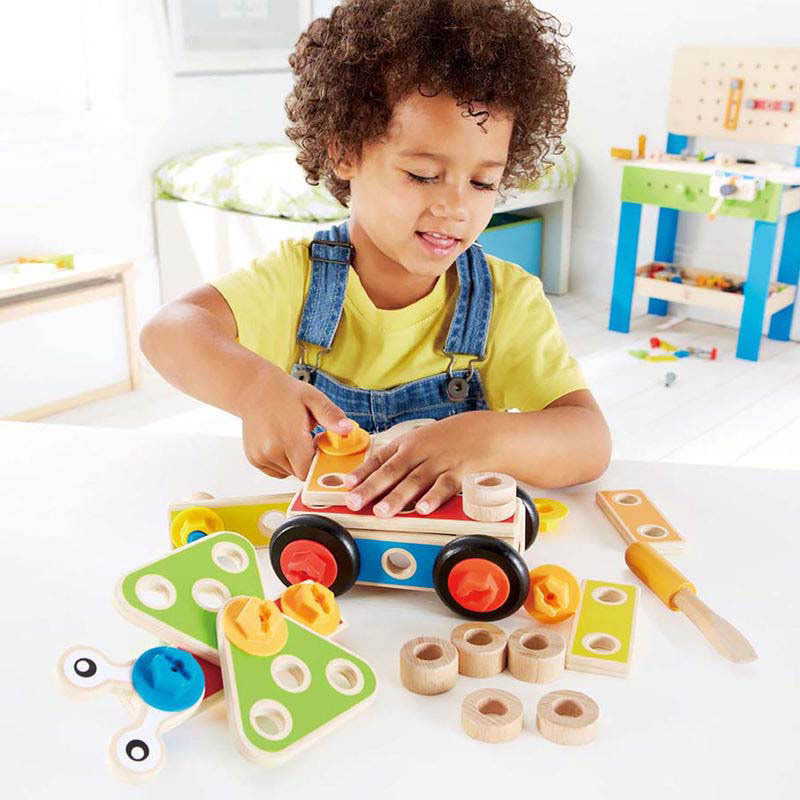 The workshop contains 31 pieces of assorted tools, screws, bolts , planks , washers and cogs that can be extended with further carpentry playsets by Hape. 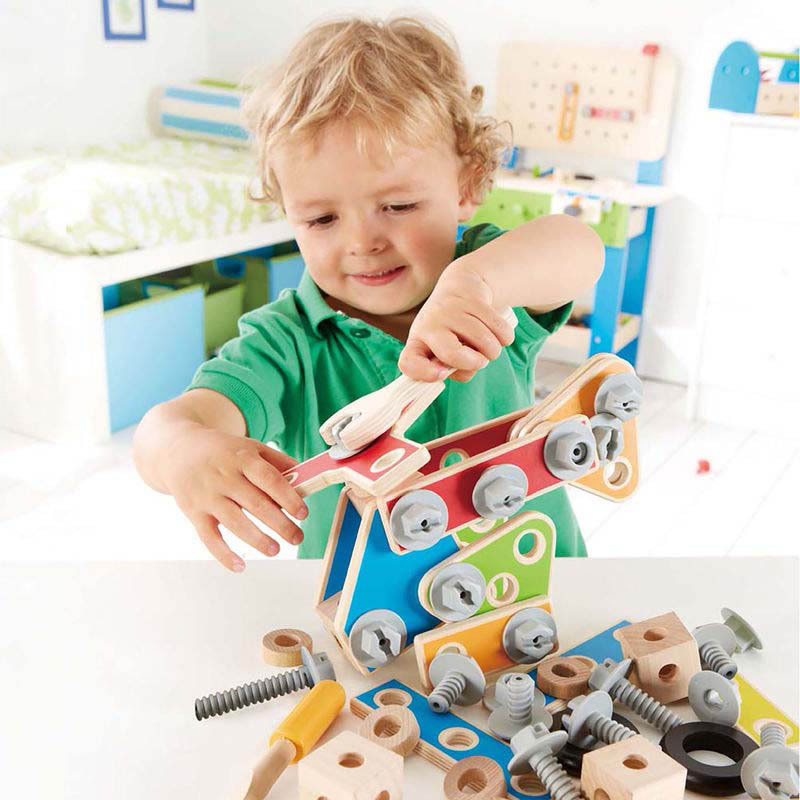 Design, create and learn through play. 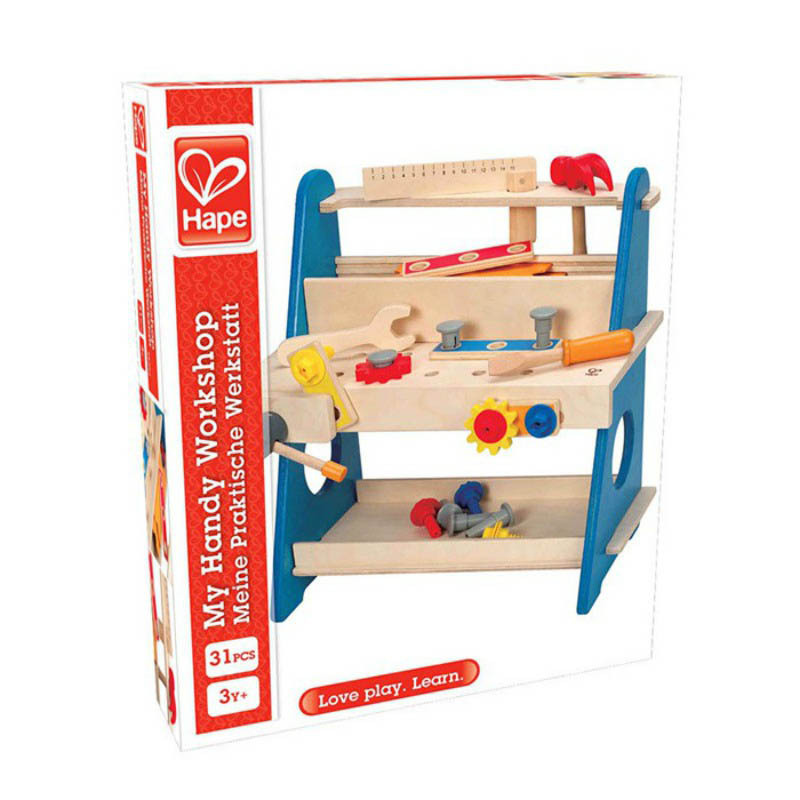 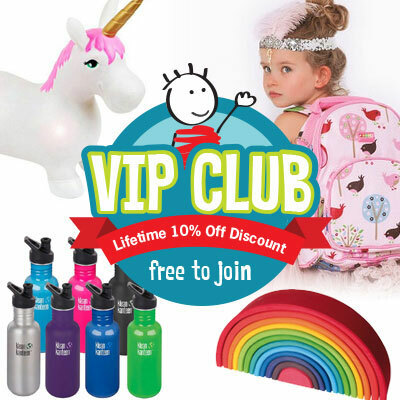 The Hape Handy Tool Workshop helps develop fine motor skills, problem solving, social skills and imaginations. 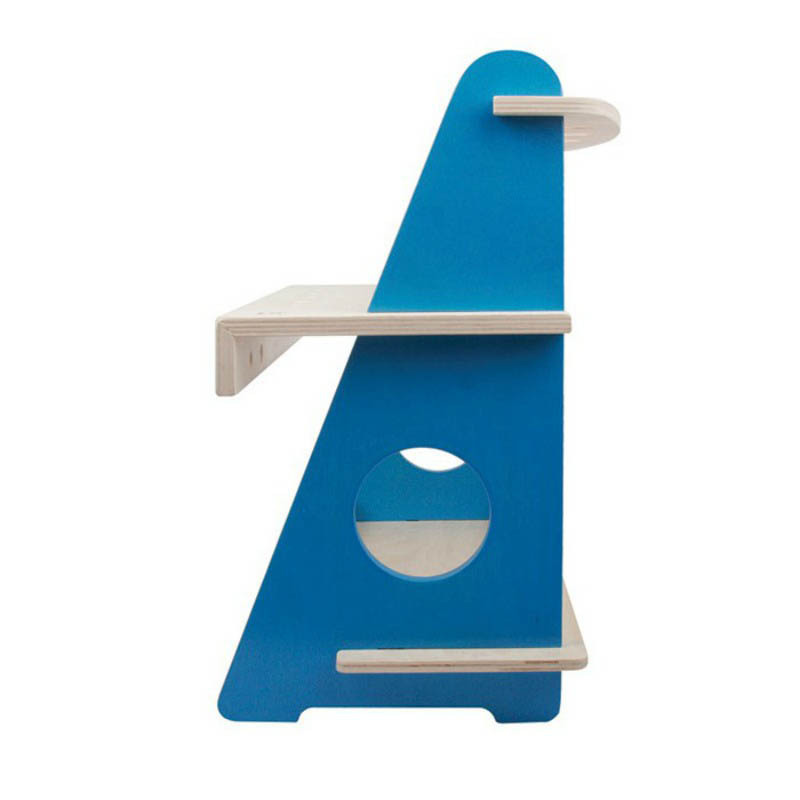 Made of wood, ABS, PA, water based paints.